It’s easy to be judgmental about those whose lives are out of control. In fact, referring to people who spend frivolously, waste carelessly and meander through life aimlessly as “out of control” includes a bit of judgment. But have you considered that they may not know a better way? How would they? If their parents taught them to spend instead of think, shop instead of fix and outsource instead of becoming resourceful, can you be sure they have had access to an influence in their adult lives that taught them about the joys of simple, deliberate living? On a break from writing last Thursday, I turned on the TV for a few minutes. Afternoon TV often makes me sad. Why would anyone want to see Manny or whatever his name is do a paternity test on six rainbow-colored men hoping one is the father of the mauve-colored love baby just born into an entirely green clan of people? Within minutes, I saw two things that made me wonder just how out of touch I am with the world’s out-of-control element. First was a commercial for a moderately priced clothing chain announcing that it would give you $10 in fake cash of some kind for every $50 of real money you spend with them. When was the last time I spent $50 on clothes? I can’t remember. And what would I do with this $10 of store credit? If I bought $50 of clothes this week, I wouldn’t need any more for at least a year. Are there people in the world who don’t know about thrift stores or making things last for years? Second was a chef demonstrating how to cut up a bell pepper. Chop off the ends, he said, remove the core, then slice the pepper. That sounds right to me, except he threw away the top and bottom, losing at least 30 percent of the pepper. Do you want to eat at a restaurant where they can afford to do that? You can slice the flat piece at the top and the funny looking piece at the bottom into strips too. Even if this pseudo-celebrity chef has unlimited money, surely a person trained to respect food would respect the effort that went into growing that pepper and use all of it that’s usable, wouldn’t he? But Who Would Have Taught Them? Respecting ourselves, respecting our money and respecting natural resources isn’t automatic for some people. We’re probably born knowing about these things, but in some families all respect for life and possessions is drilled out of the children by careless and reckless parents who don’t display a good example. You aren’t one of those parents, are you? You aren’t someone who displays a bad example of gluttony and excess to world, are you? But what are you doing about it? Remember, those who propose things foreign to you and act in ways that seem strange or even ridiculous to you may not know a better way. How can the world learn better ways to live if no one is willing to teach? I have a blog about simple, deliberate living, but I’m often just preaching to the choir here. What do you do? And does it help? There ought to be someone showing those whose lives are out of control that there’s a better way. Who do you think should be doing that? Miss hearing from me? I’ve been writing less for So Much More Life this summer so I can develop some other projects. Read My Absence Is About Respecting My Audience for more about why this blog has slowed down recently. Good point about people not knowing any other way. 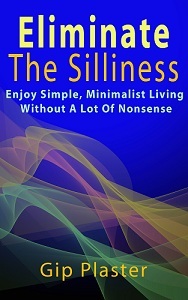 How can we introduce the concepts of simplicity and frugality to the masses? Sure, some find our blogs, either by happenstance or because they know deep inside there must be a better way, but how about the rest of mainstream society? my experience with this is that almost always, they don’t know a better way and seldom do they want to. the things implanted in us when we were children seem right and proper to us and it seems almost blasphemous to some people to alter them no matter what kind of havoc they wreak in their lives. I have a friend who once excitedly proclaimed to me: “My Grandmother taught me that you can buy anything if it’s on sale!” made me feel kind of faint for a minute.